Union Church Fundraiser for Missions presents a concert reading of “Manzanar: Story of an American Family” on Sunday, Sept. 30, at 2:30 p.m. at Union Church of Los Angeles, 401 E. Third St. (at San Pedro Street) in Little Tokyo. The musical chronicles the events in the life of 12-year-old Margaret Shimada and her family as their life is shattered due to the bombing of Pearl Harbor and the escalation of World War II. All hopes and dreams are put on hold when the father is taken away as a spy and the rest of the Shimada family is interned in the Manzanar relocation camp in the high desert of California. 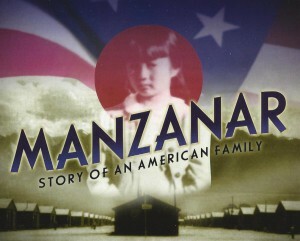 Loosely based on the experiences and recollections of Mieko Taguchi (mother of Dan Taguchi, who collaborated on the musical with Rus MCoy), “Manzanar” shows the triumph of the human spirit over adversity. The 2012 cast members include Kym Hoy, Samuel Chen, Nina Kasuya, Kacey Mayeda, and Helen H. Ota. Donation: $15 per ticket. For more information, contact Miyuki Namiki at (213) 629-3876, ext. 1 or Joan Ishihara at (818) 601-6184. Proceeds from the performance will be donated to the 2011 Japan Relief Fund. For more information, visit http://manzanarthemusical.com.